We have broken water pipes at 7th and Hamlin NE that have been releasing water for three weeks. I called DC Water three weeks ago reporting it and they said they would send someone to fix it. 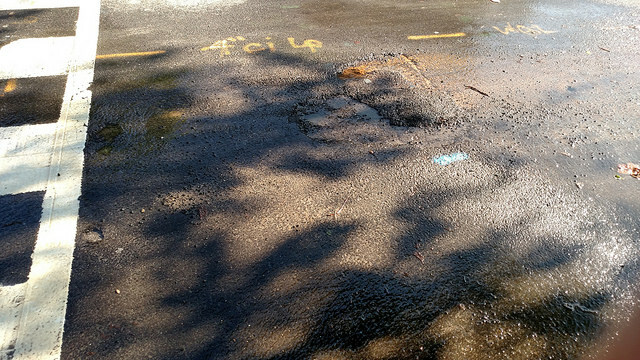 Two weeks ago my ANC SMD commissioner reached out to DC Water, who said it would be fixed within two weeks. The picture (above) was taken Sunday.